Perform installation of 4 high capacity rock anchors in a congested downtown Portland building site with a 6-week turnaround from award to completion. The challenge was the schedule. In a 6-week period we had to retain a design firm, furnish designs that met the design specifications, procure custom built class 1 corrosion protected anchor material as well as install and test the final anchors in a 5-day window. There was no room for failure of the anchors as access for any rework would quickly evaporate the day after the anchors were grouted. MD&B worked with the General Contractor and its own subcontractors through the early project meetings to plan an efficient mobilization and demobilization of MD&B's equipment and materials onto the site with little to no interruption to the other trades on site. The anchors were completed as scheduled and as-builts and QA/QC documentation was presented quickly to the GC and Architects to allow for the completion of the anchored footings meeting the tight schedule for arrival of the structural steel. MD&B met the project's schedule requirements and delivered the contract product with a great level of safety and quality. MDB was easy to work with and was able to execute their work on a very tight site in close coordination with multiple trades. Portions of this work were completed in shorter durations than initially anticipated allowing the "interruption" of the site to be limited. Testing was executed as promised and on schedule with results immediately provided. The overall project performance is considered excellent and best in class." 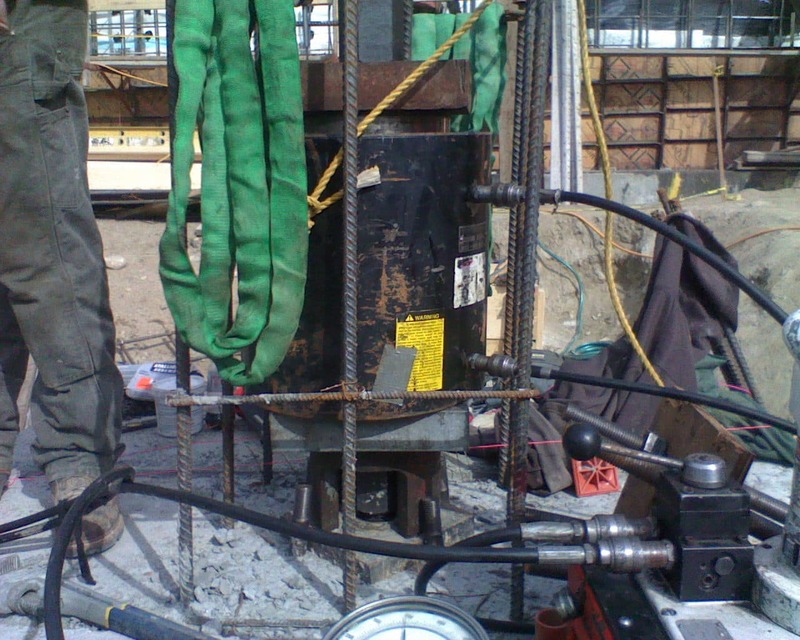 Get a free drilling and blasting project quote! We offer free project quotes, just reach out and we will make it happen! 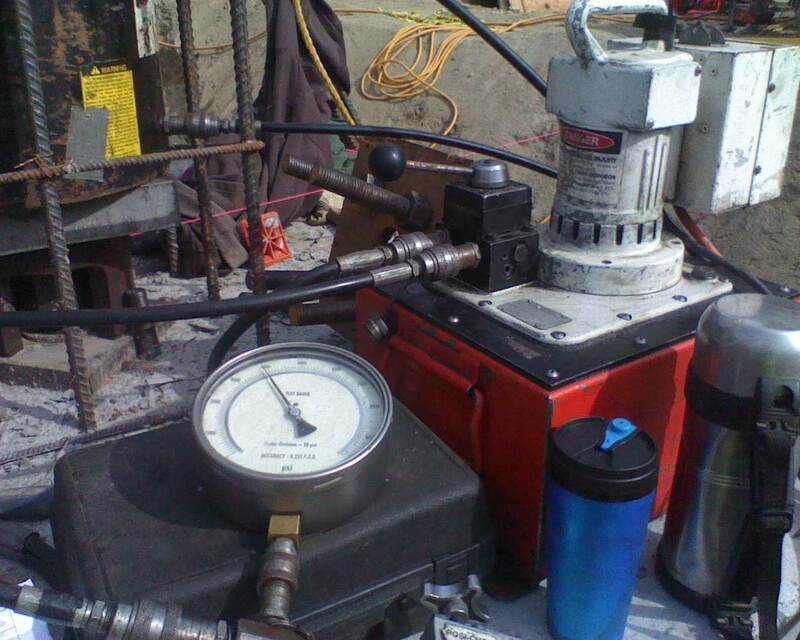 In order to have the correct person contact you for a free on-site evaluation and quote on your rock blasting project, we need some basic information to start. Please use the button below to submit your project details and we will get back to you as soon as possible. When Engineers Construction was awarded the project, I was handed the bid folder and saw that there was major blasting that needed to take place. I got discouraged. Whenever blasting has been required on projects that I've been involved with, it seems to have not been fully understood what the scope is, what the limits of blasting are, who is in charge of what, and the role of the site contractor. None of my concerns were realized. From the pre-blast survey that was done in a matter of days, to the mats and equipment showing up as scheduled, to starting the drilling on time, to maintaining the schedule. Thanks again for a highly successful start to our project."